Watch full Cardfight!! Vanguard G: Next Episode 7 English Subbed online for free in HD. Full HD Cardfight!! Vanguard G: Next Episode 7 English sub streaming online. A month has passed since Tokoha began studying abroad in France, where she is also assisting with the Vanguard Association’s Paris Branch. One day, she is introduced by Jaime to a young man named Miguel Torres, a polite albeit unlucky cardfighter who aspires to be a pro in the future. 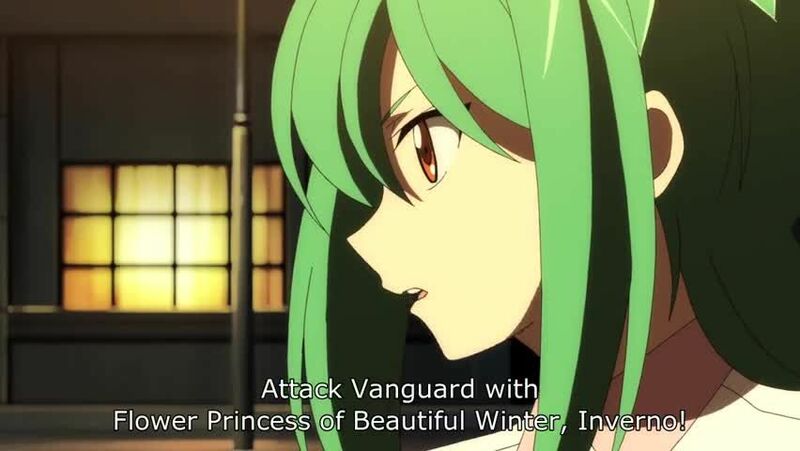 Through a friendly match with him, Tokoha learns that despite Miguel’s misfortune, he is indeed a strong fighter and passionate about his dream of becoming a pro. The next day, Tokoha and Miguel spend the day together when she explains how she has yet to find a goal for herself. Nonetheless, Miguel expresses how he will wholeheartedly support her. Some time later, Jaime calls Tokoha and tells her that Miguel has died.